2,500 years ago the Greek historian, Herodotus, notes that Greek seafarers encountered a tribe named the Abaza along the eastern shores of the Black Sea. 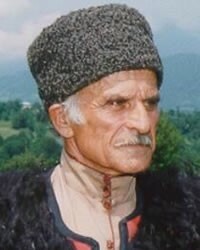 The descendants of the Abaza later migrated northeastward into the Caucasus Mountains and became fiercely Muslim over the past 1000 years. A war-like people, the Abaza have known little grace. Many died in the Caucasus Wars with the Russian Empire in the middle of the 19th Century. 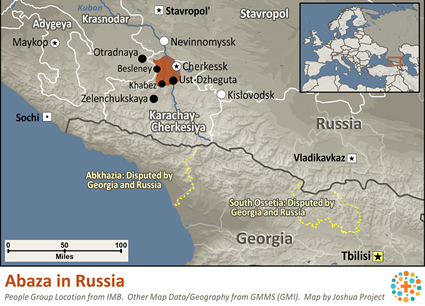 The Abaza now live in at least 14 towns and villages in the mountain region of Karachai-Cherkessia in southern Russia. Their ancient language is fascinating—it functions with 63 consonant sounds and only two vowels! For an outsider, it's definitely a mouthful of intense sounds. There are few known believers among the Abaza. Pray for these courageous ones, who are carriers of the desperately-needed grace of Jesus for their people. When one understands in one's own heart language that "God in Christ has forgiven me..." it's so much more possible to "be kind to one another, tender-hearted, forgiving one another, just as God in Christ has forgiven me." The Fruit of the Spirit—love, joy, peace, patience, kindness...—can start to grow and spread throughout the culture. 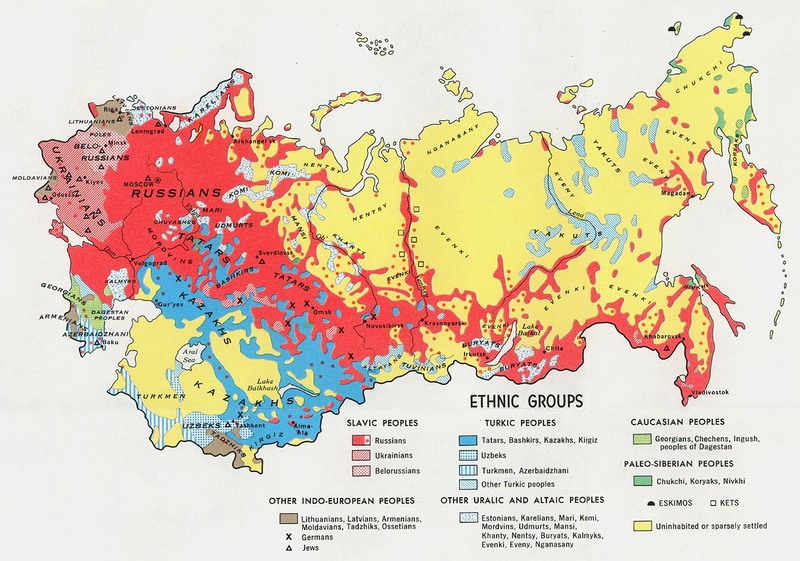 Towns of Kara-Pago, Kubina, Psikh, El'burgan, Inzhich-Chukun, Koi-dan, Abaza-Khabl', Malo-Abazinka, Tapanta, Krasnovostochni, Novokuvinski, Starokuvinski, Abazakt and Ap-sua. * Pray for a fledgling effort--which is barely underway--to begin translating portions of the New Testament into the difficult Abaza language. * Pray for the few followers of Jesus among the Abaza to embody the forgiveness and kindness of Jesus to all whom they meet. * Pray for Gospel messages to become available in audio format for this people group. View Abaza in all countries. Location in Country: Karachayevo-Cherkesiya and Stavropol’skiy Kray.